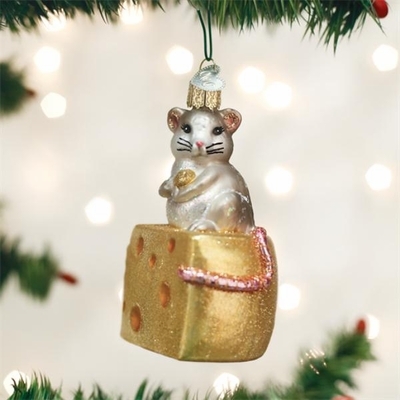 Home > Old World Christmas - Traditional Glass Christmas Ornaments > Old World Christmas Glass Ornament - "Hungry Mouse"
Not a creature was stirring, not even a mouse! however, this tiny mouse has managed to find his way to the kitchen and help himself to a wedge of Swiss cheese. May the joy of Christmas reach to the smallest nooks and crannies of the kitchen and pantry!